Sveriges Television (SVT), the Swedish public national television channel, has aired its latest main cultural programme called “Kobra,” which features an interview with Nicolas De Santis, Gold Mercury International President. The interview covers Nicolas De Santis’s creation of the European Superhero, Captain Euro, for the launch of the EURO currency in 2002, and discusses its re-launch and the future of the European Union brand. “Captain Euro started as a social research experiment to test the feelings, emotions and perceptions of the EU in Europeans and the world. When we launched it, the reaction was fantastic, because people either loved Captain Euro, or they hated Captain Euro. This is what we wanted – we wanted people to finally emotionally react to Europe.” – Nicolas De Santis, President of Gold Mercury International, speaking about the public response to Captain Euro in the 1990s. 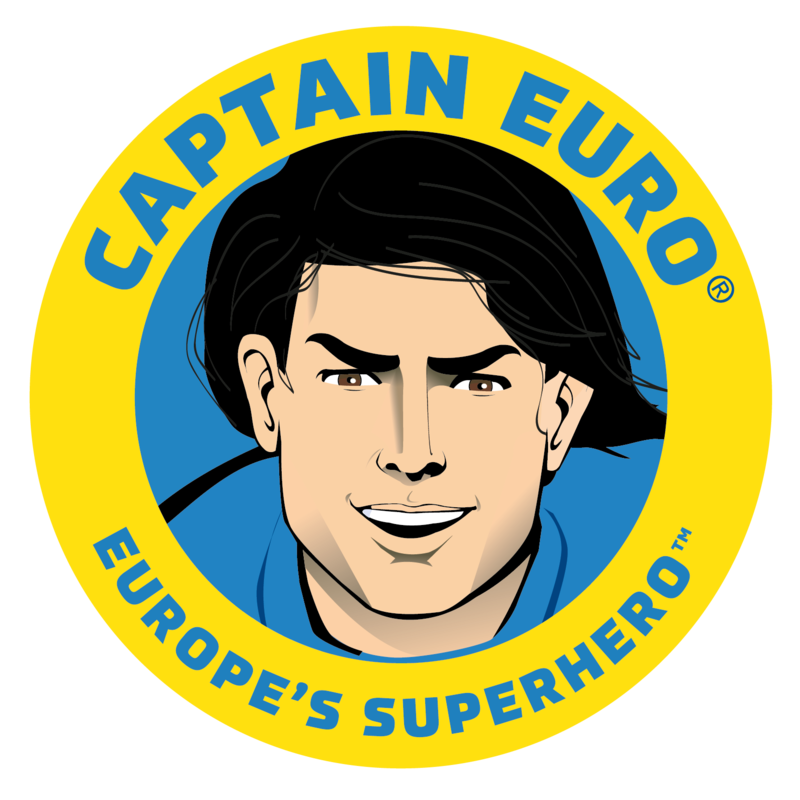 Nicolas De Santis created Captain Euro in the 1990s to promote Europe and the launch of the Euro to its citizens and the world. The programme examines some of the reasons for Captain Euro’s creation, why he has proven so enduring and divisive and the reasons for its re-launch. Nicolas De Santis is an expert in European Union identity issues and branding and has advised the European Parliament and the European Commission on this subject in the past, as well as on the launch of the Euro currency. Captain Euro is a fully independent initiative funded by Gold Mercury International. Why European Union branding is critically important. Recently we have seen various attempts at separatist movements happening in Europe (Scotland, Catalonia, etc) and the proposed UK referendum, questioning its own future in the EU. In a globalised world of superpowers, where the nation state is becoming less relevant, and international cooperation more critical, it is important for the EU to be united and act as one. This was clearly apparent during the recent Ukrainian crisis. The referendum raises similar questions about the UK’s future political and economic role, if it were to be outside of the EU. Recently the White House, in an official statement, made it clear that the UK being at the heart of Europe is in the interest of the world. Large corporations investing in the UK and the entire automotive UK sector also stated that if it were to leave the Union, they would have to reconsider their investments. “The European Union has a serious identity problem. Instead of going forward, we seem to be going back towards the fragmentation and nationalism of the past, wasting the efforts of entire generations of Europeans. Our energies should not be directed towards repeating our unfortunate past, but rather towards building the future of a solid, competitive Europe which can function in the new world economy. With our various EU branding initiatives and programmes we at Gold Mercury aim to help develop a clear vision for the future of the EU, and make the EU easy to understand for the people who will participate in, and shape its future”. -Nicolas De Santis on the current European brand situation. As the EU identity crisis continues, Gold Mercury has launched the BRAND EU Centre, which will cover issues relating to the concept of EU citizen identity formation. The main aims of the BRAND EU Centre are to deliver critical insights on the current state of the European Union’s governance, as well as address the lack of a common European identity and a strong EU brand. Initiatives such as Captain Euro, are steps towards trying to find a suitable common ground to forge a European brand. Gold Mercury’s BRAND EU Centre aims to challenge the current complexity, which is associated with the European Union, so that citizens can start to feel closer to Europe. “Gold Mercury International has identified the lack of a clear EU brand and EU identity as a key barrier to achieving the full support of its citizens and for the development of Europe as a whole. One of the key brand problems for citizens in understanding Europe and participating actively, is the complexity of the current political structure of the EU. Still today, it can be only understood by academics or experts,” – Nicolas De Santis, President of Gold Mercury International, explaining the need for an EU Identity Initiative, the BRAND EU Centre.